Join NauticEd’s affiliated school, On Deck Sailing, for an amazing opportunity to race in one or more of 3 world famous regattas. 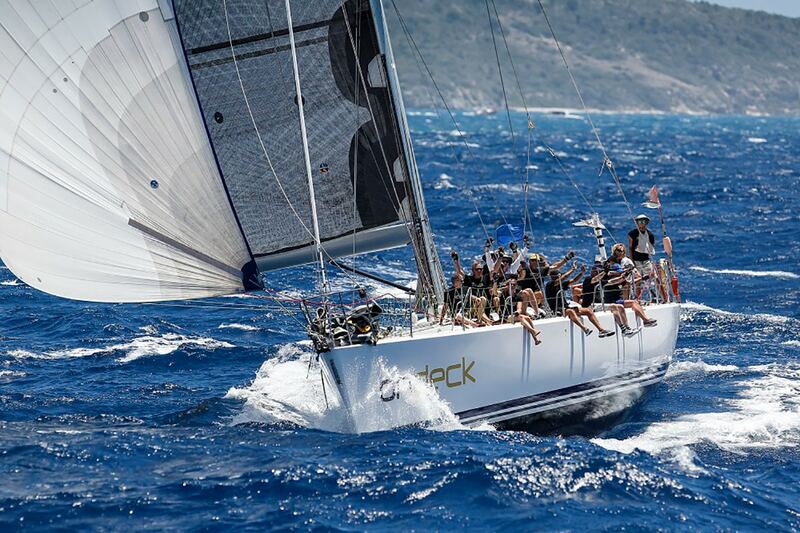 The Boat: Racing on Spirit of Juno, a Farr 65 equipped with full set of race sails more than capable of line honors. For More Information or to Sign-Up: Just mention NauticEd to receive discounted pricing. Easy flights from North America; event takes place on the east side of St. Thomas out of the Yacht Club. Included in price: sleep-aboard, dockage/mooring fees, fuel, lunches, shore & maintenance support, event management, training and racing fees. Meet up with us on the afternoon on March 25th in Nanny Cay. This is the center for the regatta. The regatta has 2 parts: Part one is known as “The Sailing Festival” with a Tortola Race on March 26th and a Scrub Island Race on the 17th. 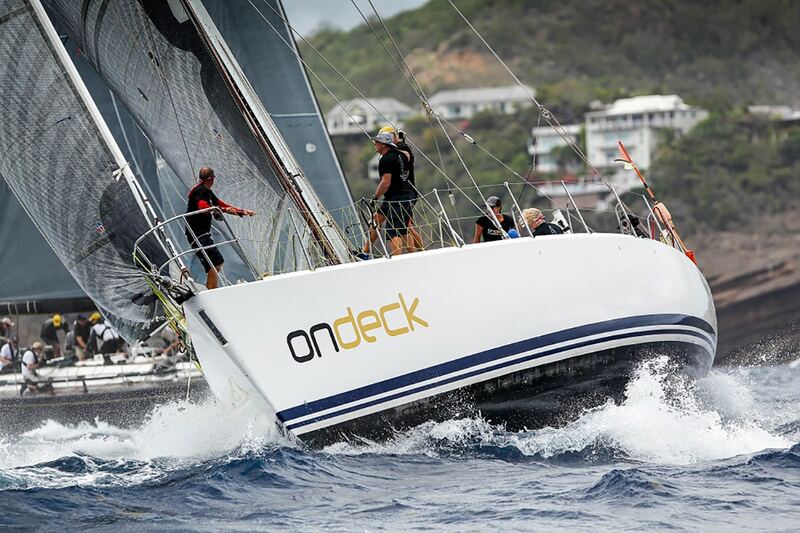 Part two is the BVI Spring Regatta that takes place March 29-31st. Bucket list island and race. A Caribbean island with the feel of the French Rivera. Sophisticated vibe to the regatta with fantastic food. 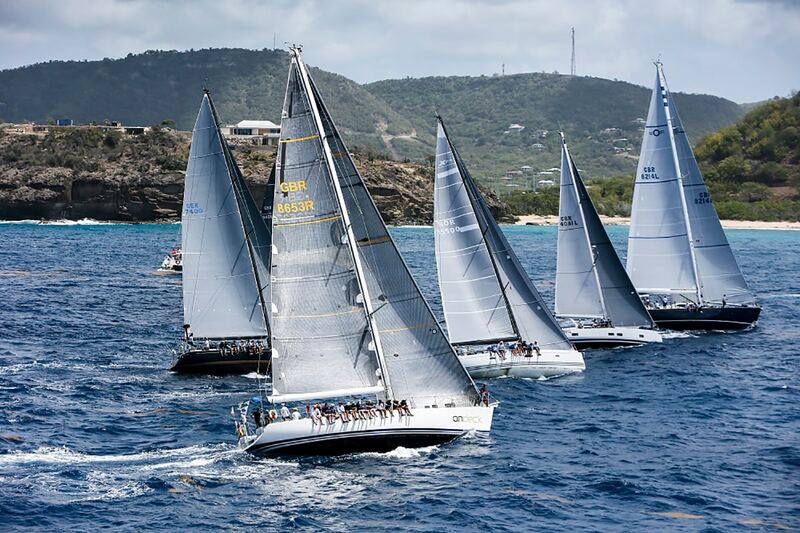 Regatta centered in the capital of Gustavia. Meet up with us on the 13th. We’ll practice on the 14th. Racing days: April 15-17th followed by a lazy rest day and then back at it for racing on April 19-20th.